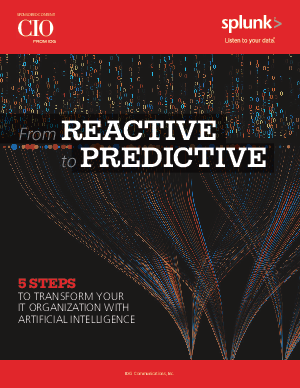 Predictive IT is a powerful new approach that uses machine learning and artificial intelligence (AI) to predict incidents before they impact customers and end users. By using AI and predictive analytics, IT organizations are able to deliver seamless customer experiences that meet changing customer behavior and business demands. Discover the critical steps required to build your IT strategy, and learn how to harness predictive analytics to reduce operational inefficiencies and improve digital experiences.